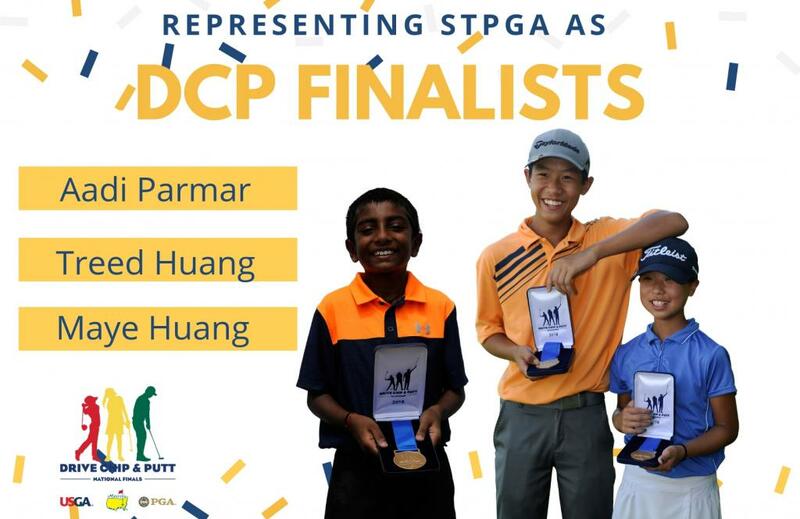 SPRING, TEXAS --- Treed Huang, Maye Huang, and Aadi Parmar will represent the Southern Texas PGA at the 2019 Drive, Chip and Putt National Finals at the historic Augusta National Golf Club on Sunday, the eve of the 2019 Masters. All three qualified for the National Finals at the Regional Qualifier on September 16 at The Club at Carlton Woods. Treed is making his fourth appearance at the National Finals and will represent the Boys 14-15 Division. He won the Boys 7-9 Division in the inaugural event in 2014 and finished second in the Boys 12-13 Division at last year’s event. Maye, Treed’s younger sister, is making her second appearance and looks to bring her second National title back to Katy. Her first victory was in 2017 when she won the Girls 7-9 Division. She will represent the STPGA in the Girls 10-11 Division. Making his first appearance at the historic Golf Club is Selma native, Aadi Parmar. At the Regional Qualifier, he finished with a total score of 131. Parmar will compete in the Boys 10-11 Division. The 2019 Drive, Chip and Putt National Finals will broadcast live at 7:00 a.m. CST on Sunday on the Golf Channel. For more information and to follow along with the Drive, Chip and Putt National Finals, please click here.